Winds up to 60 km tonight will mean reduced visibility on highways. Brandon, MB (CKLQ) - The watchword for highway travelers tonight is caution. 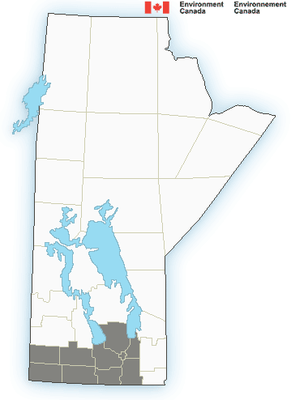 Environment Canada has extended a blowing snow advisory for Western Manitoba for tonight and tomorrow. Up to 16 centimetres of snow fell Sunday in the region, and more snow is coming tonight. Add to that Westerly winds of up to 60 kilometres per hour, and you have a recipe for low visibility and high windchills. Highways throughout the region are already classified as partly snow covered, with blowing snow. Brandon, MB (CKLQ) - The latest blast of winter produced varying amounts of snowfall on most Manitoba highways and byways. 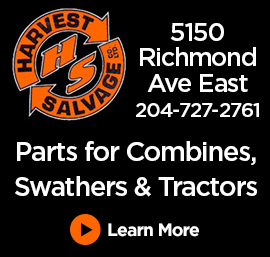 Plows have been out on most routes over the past 12 hours working to clear roads. However, Envirnoment Canada has issued a blowing snow advisory. A cold front will bring blowing snow with strong northwest winds of 40-50 km/h to western Manitoba beginning this evening. Blowing snow is expected to diminish Tuesday evening. Visibilities will be reduced to 800 metres or less at times. For more information on this advisory click here.